We got us early and decided to do rope drop at magic kingdom as it was our last full day. 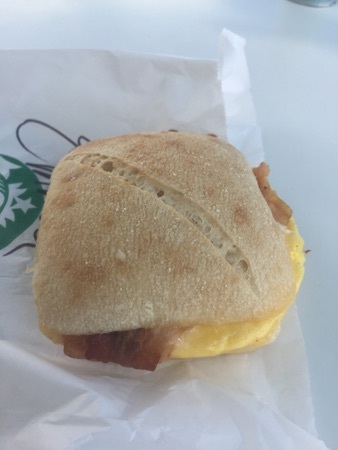 I got a bacon, egg and Gouda sandwich from Starbucks again which was alright and enough to tide me over until lunch. 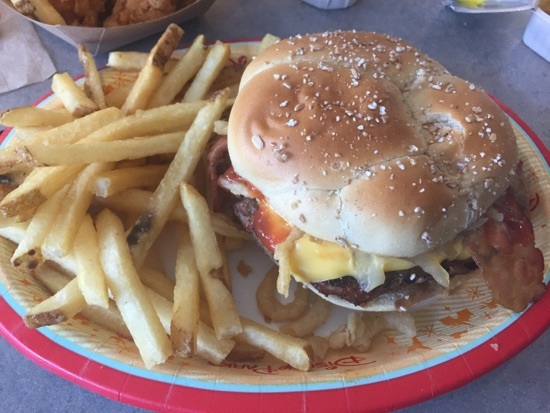 For lunch We went to cosmic rays, DH and I both got a 1/3lb bacon Angus burger with fries. We hit the toppings bar and I got fried onions and onion straws on mine. 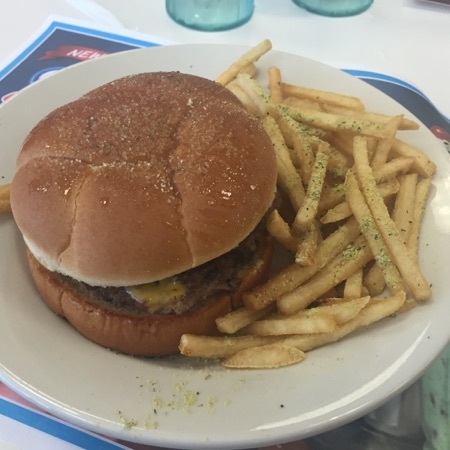 This was quite disappointing as far as Disney burgers go, I usually love a good Disney burger but this was tepid and just generally not great. We got a large lemonade to share. DD had the kids chicken nugget meal with fries and a side of grapes, she got a bottle of chocolate milk as her drink. She really enjoyed this and ate most of it. 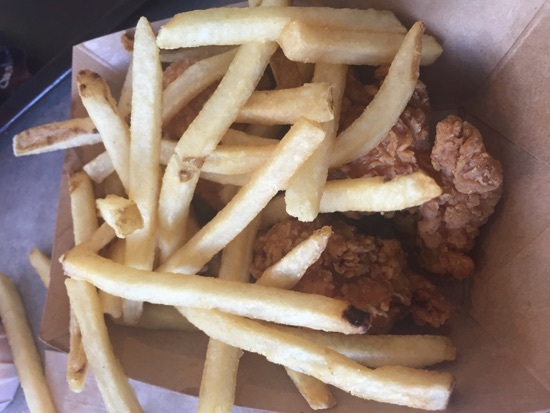 This came to $38 which we thought was expensive for what it was, but that's theme parks I guess, usually the food at Disney's much better though. 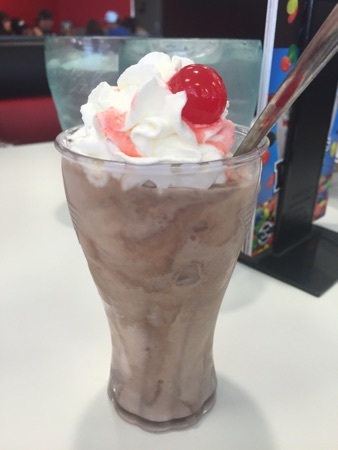 We had an afternoon in the pool and then decided to head off to steak and shake in search for a good burger. DH and I both had the chocolate brownie milkshake. 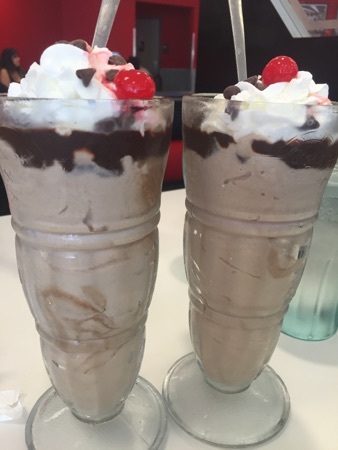 It was happy hour from 2-5 to shakes were half price. DD got a kids chocolate milkshake. I got the double garlic steakburger again, DH had an original steakburger and DD had macaroni cheese. Our total bill came to $16 thanks to half price shakes. What a great value meal. New Photo Added by missdopey - 13 Jul 16 9:49 PM. That's great value for your evening burger. Shame about your Disney burger.